In New Orleans, to paraphrase onetime French Quarter resident and writer William Faulkner, the past isn’t dead. It’s not even past. No other city in America keeps its history as vital or as accessible as New Orleans. Entire neighborhoods, whole buildings, cemetery crypts, manhole covers, cobblestone streets and ancient oaks serve as touchstones to vanished eras. Look for it. In New Orleans, history can strut as loudly as a Carnival walking krewe or creep as softly as a green lizard on a courtyard wall. Thrilling. Colorful. Tragic. Inspiring. Discover a little about the sweep of the city’s history. Volleyed between the French and the Spanish, both heritages linger. Claimed for the French crown by explorer Robert Cavelier, Sieur de La Salle in 1682, the city La Nouvelle-Orleans was founded in 1718 by Jean Baptiste Le Moyne de Bienville. New Orleans developed around the Vieux Carré (Old Square in English), a central square from which the French Quarter evolved. The crescent of high ground above the mouth of the Mississippi became the capital of the French Colony in 1723 and a vital hub of trading and commerce. Spain took control of New Orleans in 1763 after the signing of the Treaty of Paris, a 37-year rule that left a lasting mark on the city’s street names and architecture. For almost four decades New Orleans was a Spanish outpost and important trading (and cultural) partner to Cuba, Haiti and Mexico before reverting back to French rule. This period also reflected Spain’s more liberal views on race that fostered a class of free people of color. It was during the Spanish rule that the Great Fires of New Orleans did their damage. In 1788 on Good Friday, fire destroyed most of the French architecture in the city. After six years of rebuilding, another fired destroy about a third of the city. Because of all the damage, the Spanish legacy is grande. St. Charles Avenue, Baroque-looking government buildings including the Cabildo and the Presbytere and streetscapes marked by arches and Arabesque ironwork -- these and more came from Spain. In 1800, the Spanish ceded Louisiana back to France only to have Napoleon sell the city and what was the Louisiana territory to the United States three years later as part of the $15 million Louisiana Purchase, April 30,1803. Although the French sold Louisiana, residents in New Orleans chose not to be abandoned. If anything they held tighter to their Francophile ways, from language and customs to cuisine and devotion to opera and complex social strata. The Creoles, the American-born offspring of European settlers, many with French blood, created a sophisticated and cosmopolitan society in colonial New Orleans. 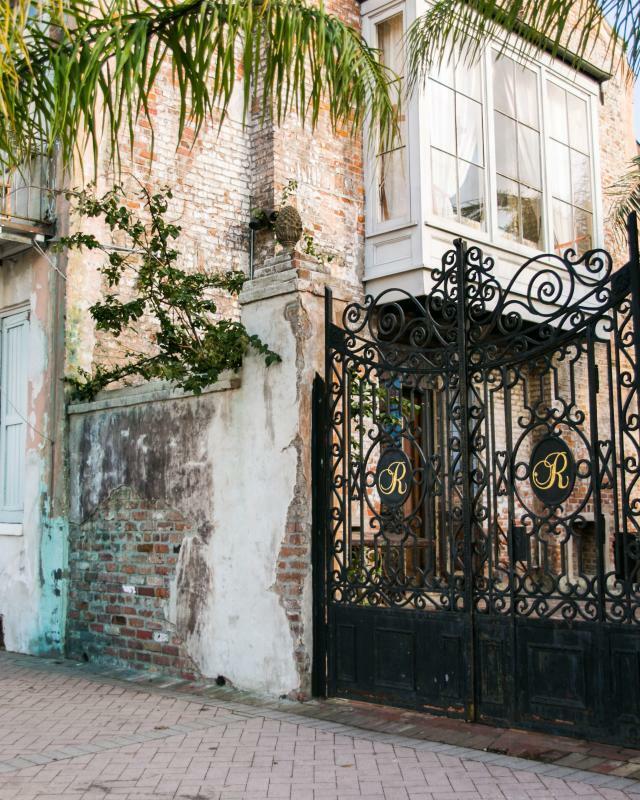 From the streets of the French Quarter to Creole cottages, the Ursuline Convent and Charity Hospital, vestiges of the French remain to this day. The flow of goods between the Caribbean and the port of New Orleans quickly bred piracy, with Jean Lafitte and his brother Pierre among the most infamous. 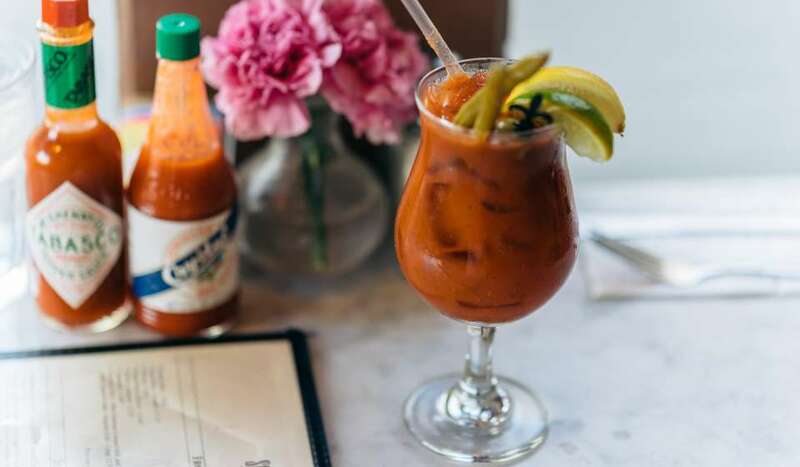 Lafitte, for whom the popular (and some say haunted) Lafitte’s Blacksmith Shop bar at 941 Bourbon St. is named, was a fixer and a rogue who played an instrumental role in supplying arms and gunpowder to General Andrew Jackson during the Battle of New Orleans. Lafitte’s Blacksmith Shop, which claims to be the oldest structure housing a bar in the United States, was the pirate’s base, and sightings of the privateer have been reported in the dark corners of the first floor, the women’s rest room and near the fireplace, where he is said to have kept his gold. Andrew Jackson was catapulted to fame in the War of 1812 during the Battle of New Orleans, deftly turning away more than 7,500 British solders and forcing them to abandon the area, the final end to the war. The treaty to end the war had been signed but word did not arrive in New Orleans till after the battle – a nice note for the history books. Still, the treaty had not been ratified and the decisive victory sealed the fate of the British attempt to regain the land. The first Mardi Gras in the United States was celebrated in March 1699 when Iberville and Bienville landed at the mouth of the Mississippi River on Mardi Gras and dubbed the spot Point du Mardi Gras and celebrated with their men. After that, history gets murky. Carnival was celebrated in France and there are accounts of some various festivities in New Orleans from the time the French settled here. By most accounts the holiday was entrenched by the 1730s with parties and street fairs. When Spain took over, historians say the celebrations waned until the French came back. Under U.S. rule, observance flourished. The first parades began in the mid 1800s – in 1857, a secret society of New Orleans businessmen called the Mistick Krewe of Comus organized a torch-lit Carnival procession with marching bands and rolling floats, setting the stage for the public celebrations that occur today. As Americans prospered, the French and Creoles of New Orleans still socially rejected the Nuevo riche American plantation owners. So the Americans simply stayed across the neutral ground of Canal Street and carved out their own neighborhoods, from what is now the Central Business District, the Warehouse District and all the way up through the Garden District and Uptown. In the mid-1800s, the highest concentration of millionaires in America could be found between New Orleans and Baton Rouge, fortunes fueled by to slave economy and massive sugar plantations along the Mississippi River. In the 1850s alone, Louisiana sugar plantations produced an estimated 450 million pounds of sugar per year, worth more than $20 million annually. Yet these elegant mansions hid the misery of the enslaved and could not shelter fortunes from the coming storm that divided the nation. War destroyed the world of antebellum New Orleans, but much remains to uncover today. 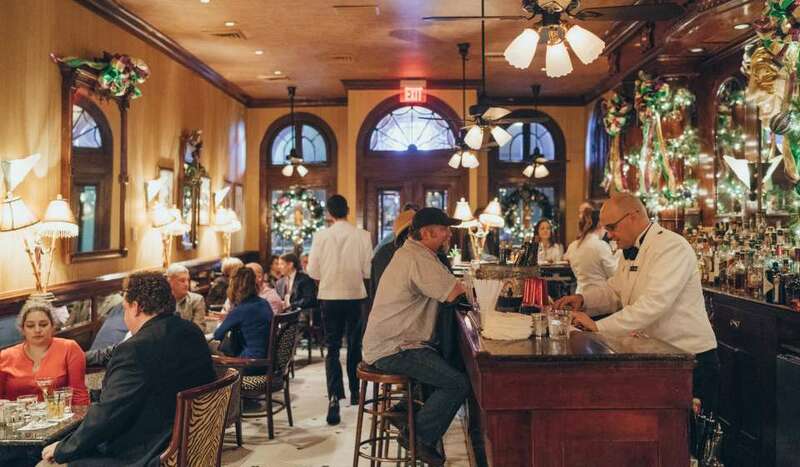 Taste it’s food at Antoine’s, the French Quarter restaurant first opened in 1840. Trace its outlines in the stately houses gracing St. Charles Avenue. Union troops occupied New Orleans a year into the Civil War – the city didn't fight the Union invasion, thus sparing itself from destruction. But New Orleans would never regain its particular Antebellum halcyon days. After the war, a legacy of poverty, racial tension and a government in chaos would become the new normal. The city’s plantation owners would find it impossible to match their antebellum success. Although the railroad diverted some traffic from the Mississippi, the city’s powerful port preserved its essential status on America’s transportation map, which it does to this day. Discover the period by touring the Old U.S. Mint, the oldest existing U.S. mint and the Civil War’s only Confederate one. Drop by Louisiana’s Civil War Museum located in the Warehouse District, visit the Lower Garden District and the statue of Margaret Gaffney Haughery, a beloved Irish immigrant whose bakery supplied hungry families with bread during the war and who founded a series of orphanages. You can still hear it and smell it. The rustle of bustled skirts across heart-of-pine floors, a Ragtime tune tinkling from an open Bywater window, a whiff of cheroot smoke, iced oysters and lager beer from a Magazine Street saloon. Uncover Victorian New Orleans. The era that blossomed following the Civil War’s conclusion in 1865 is as intricate and as detailed as the “gingerbread” adornments on the fine homes found in Uptown and on the smaller cottages in Mid-City. Audubon Park (1886), the New Orleans Museum of Art (1911) and many of the city’s 21st Century B&Bs were built in this period that evolved into the Jazz Age. In the late 19th century, jazz emerged, a revolutionary way to combine ragtime, blues, spirituals and the American songbook into something brand new and soul stirring. Music is a birthright in New Orleans and it’s always been that way. Even before the Jazz Age, throughout the 19th century, a conflagration of diverse ethnic and racial groups — French, Spanish, African, Italian, German, and Irish — found common ground in their love of listening to and making music. In the late 19th century, jazz emerged, a revolutionary way to combine ragtime, blues, spirituals and the American songbook into something brand new. While the 1920s is considered the Jazz Age in America, the time when the new improvised music became more mainstream, in New Orleans that age dawned in the late 1800s. The 1920s roared along the Mississippi, however, and the city roared back, ignoring Prohibition and welcoming travelers. It was a time of cultural excitement. Artists, authors and the adventurous discovered the French Quarter where writer Sherwood Anderson entertained bohemians in his Upper Pontalba apartment and dramatists opened Le Petit Theater on St. Peter Street. America may have learned to dance the Charleston in the 1920s, but it was New Orleans that provided the decade with its soundtrack. In the epic struggle of World War II, New Orleans played a special role. Local industrialist and shipbuilder Andrew Higgins invented a boat designed to float in the shallow water of Louisiana’s swamps and marshes. He realized this boat would be perfect for getting soldiers, vehicles and equipment off big ships to shore in Europe during the war. Built in local shipyards, “Higgins Boats” were used throughout the war, most notably on the Normandy beaches during the D-day invasion. They were so successful storming Normandy that General Dwight D. Eisenhower would describe Higgins as “the man who won the war for us.” The story of New Orleans’ historic contribution is featured in the acclaimed National WWII Museum. A continuum of change marks New Orleans’ post-WWII experience. For most of its existence, the city could not grow beyond its natural boundaries but by the 1950s new technology drained and dammed the land -- drawing thousands to the suburbs. In the 1960s, the Civil Rights movement brought new dignity and opportunities to many New Orleanians. But, as in many U.S. cities after World War II, suburbanization and white flight added to conflicts over school integration, leaving some African-American neighborhoods impoverished and underserved. In the 1970s and 1980s energy booms and busts became precarious balancing acts as the city struggled with a declining population and increasing needs. On August 29, 2005, category 5 Hurricane Katrina swung past New Orleans, driving a storm surge that breached four levees, flooding 80 percent of the city. Hundreds were killed and thousands were trapped for days in harsh conditions before state and federal rescuers came to their aid. Many of the evacuees never returned home and some neighborhoods, especially the lower Ninth Ward, are still recovering. A highlight for many in the difficult few years after Katrina came on Feb. 7, 2010 when the city’s beloved New Orleans Saints won the team’s first ever Super Bowl game against the champion Indianapolis Colts. The cheers were heard around the United States. Many displaced natives made a point of being not in Miami where the game was played, but in New Orleans to celebrate with the rest of the city. 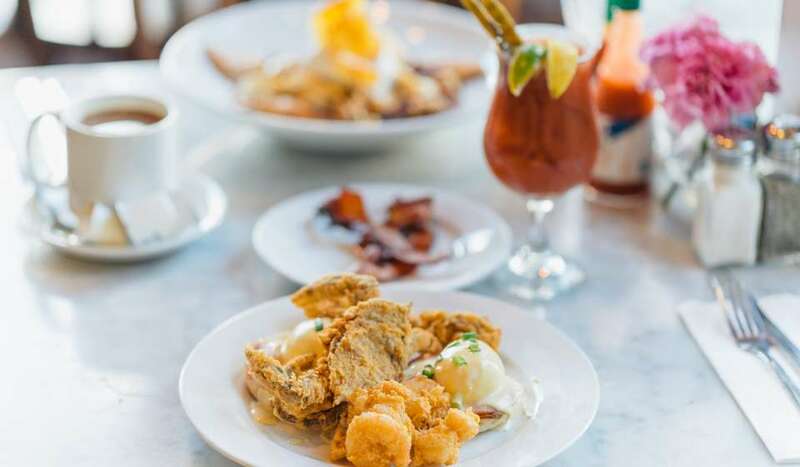 New Orleans remains a city of rich culture, proud people and entrenched neighborhoods that have survived and thrived against odds. 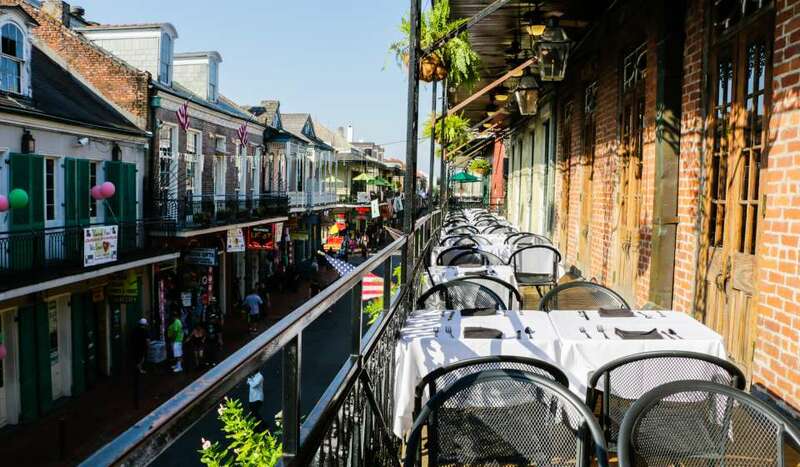 New Orleanians have always held tight to their unique culture, pride of place, music, cuisine and festivals and tourists from around the world can’t stay away. We’re glad you’re here as we look ahead to our 300th year in 2018.